Temporary housing option to men and women while transitioning from institutions or homelessness back into society. They help to eliminate dependency on welfare while providing assistance with obtaining employment and providing resources to overcome addictions. Please contact them directly for additional information on their transitional program and eligibility requirements. 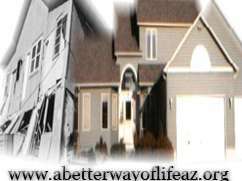 Are you familiar with A Better Way Of Life Transitional Home? Help FreeRehabCenters.org users find out answers.